Gary Davis, also known as Libertas, was one of the site administrators and forum moderators for Silk Road, then-largest underground marketplace on the Internet used by thousands of users to sell and buy drugs and other illegal goods and services. According to a press release published by US Department of Justice, Davis helped the black market website "run smoothly" and provided "customer support" to Silk Road users for assisting them with their buyer or seller accounts on the site for several months in 2013. However, Ireland's Supreme Court rejected Davis' arguments, and he was extradited to the United States in July 2014. "Silk Road was a secret online marketplace for illegal drugs, hacking services, and a whole host of other criminal activity," Manhattan U.S. Attorney Geoffrey S. Berman said in a statement. "As he admitted today, Gary Davis served as an administrator who helped run the Silk Road marketplace. 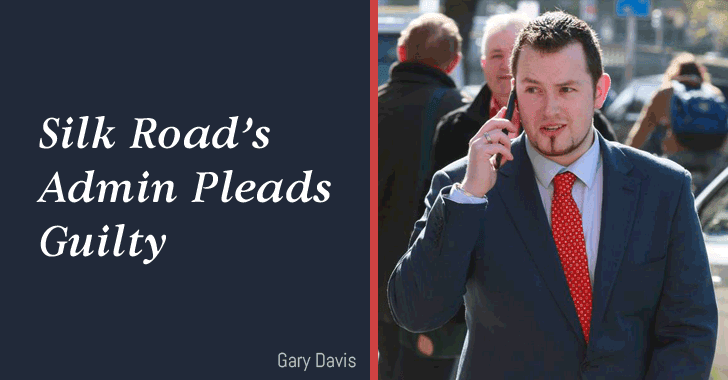 Davis's arrest, extradition from Ireland, and conviction should send a clear message: the purported anonymity of the dark Web is not a protective shield from prosecution."